Download the appropriate app for your device. Open and log in with established account, or Register. 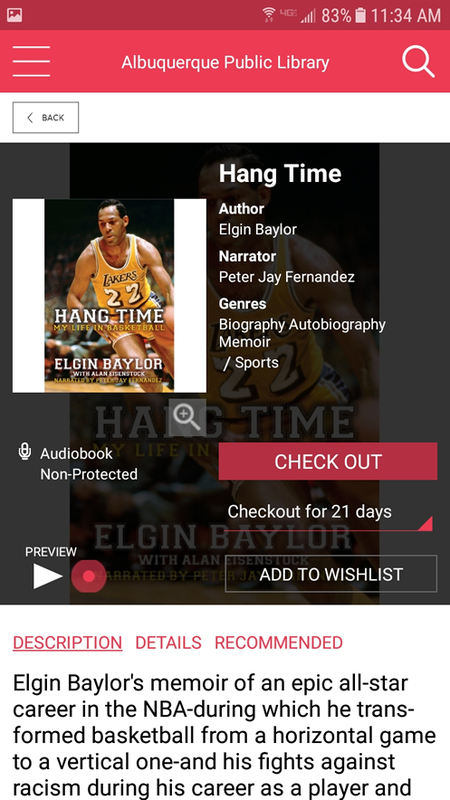 App will open to the Home screen with a row for Audiobooks and a row for available Magazines. Scroll to the right to view popular titles, or click View All to see entire collection. 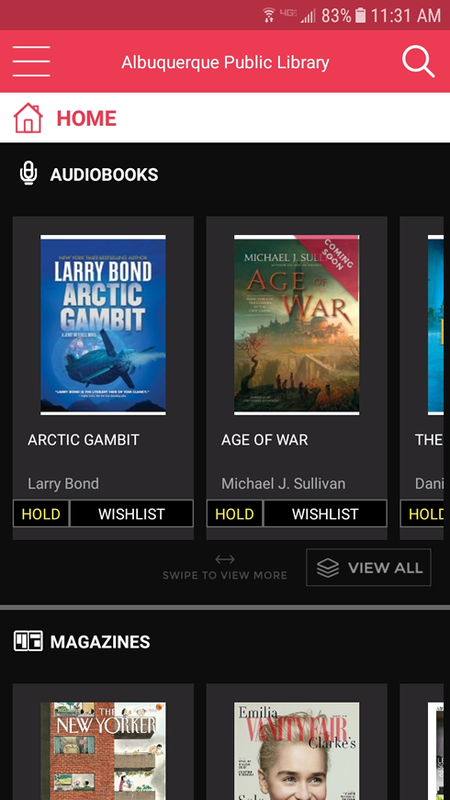 Available audiobooks and magazines appear when logged in to RBdigital app. Click on an image to view details, listen to an audio sample, add to wishlist, or check out. Use the links to the right of the image to see more audiobooks by the same author, narrator, or in the same genre. Select from the dropdown menu below the Check Out button to change the circulation period. 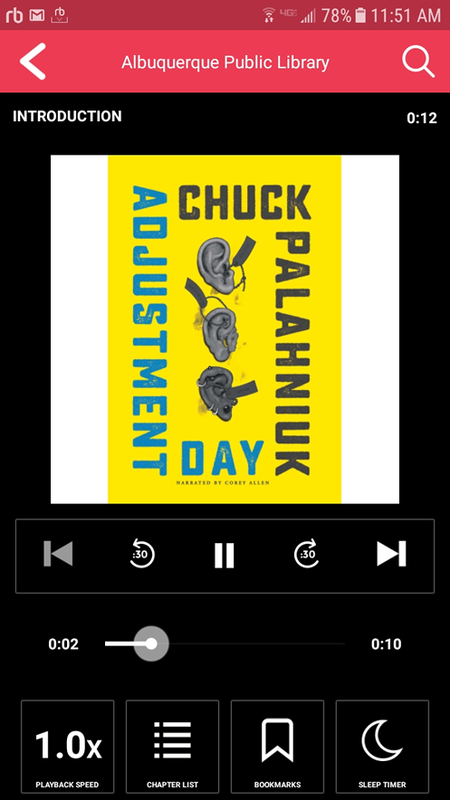 Adjustable playback speed allows user to speed up or slow down audio in the Audiobook Player. When checking out through Discovery, perform the checkout with a browser and return to the app on device. From the menu bar in the upper-right corner of the app, access your Wishlist and Reading History by clicking My Account. The My Account menu is also the place to add a second profile, see recommendations, and update settings for WiFi connection, auto download, and audio player, and preferred genre for browsing. Apps are available for Android and iOS devices, as well as Kindle Fire devices.